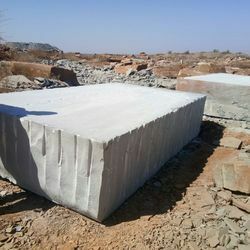 Raw bloacks are the stone blocks which are produced from the quarry and the raw material for producing slabs and other products. Several countries import raw blocks as they have to pay less taxes for raw material then processing is done in the local factory. 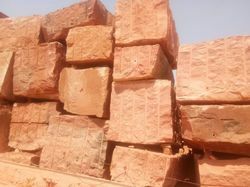 We offer raw blocks of sandstone, limestone, granite and marble to our clients in Tiwan, China, Italy, Spain & Morocco. 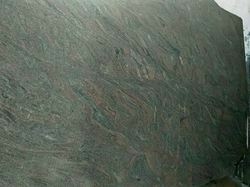 Being a leader in the industry, we are engaged in offering a qualitative range of Indian Green Marble. Agra red is a sandstone used widely for the caldding and flooring purpose. 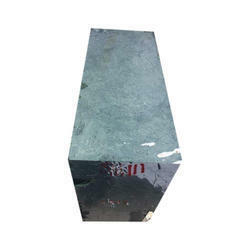 We are regular wholesalers of slabs and blocks to middle east, south east and china. Monthly qty is around 8-10 containers of blocks we can supply. Packaging Details: direct loading in container. Colonial gold raw blocks are available with us. we are doing monthly 20-25 cbm material for the European market. Viscount white raw blocks is a white base and black wave featured granite stone. it's very beautiful when used in monuments. Kashmir Gold Raw Blocks a world known material for its unique and attractive looks. we are regularly exporting raw blocks of Kashmir gold material. 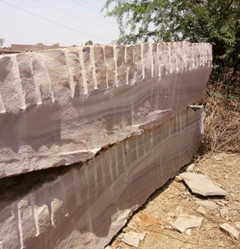 We are the leading and prominent Manufacturer and Exporter of Brown Quartzite Stone Raw Blocks. Bahama Blue granite is a blue-grey with red-brown granite. Bahama Blue Granite is suitable for both interior and exterior use futhermore is frost resistant and with a constant polish. It is suitable for construction projects both commercial & domestic, prefabricated countertops/worktops, vanities, tiles, backsplashes, paving, fireplaces and memorials. Bahama Blue Granite looks best with a gloss polished surface but is also available as honed, leather/satin, river washed/antique, thermal/flamed, flamed & brushed, water-jet, bush-hammered, sandblast and sawn finish. 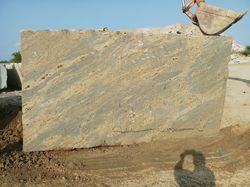 Bahama Blue granite is quarried near Vizag, Srikakulam, Andhra Pradesh, India. There are more than 40 similar quarries in this region with varying shades from light to dark. The veining and colour varies considerably and a small sample of Bahama Blue granite may not be representative of the whole slab therefore swatch samples must be approved for large projects to ensure that the blocks are all extracted from the same quarry face for matching purposes. 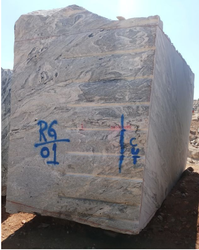 Bahama Blue granite slabs are available in standard 20mm and 30mm thickness for random slabs, cut-to-size (dimensioned) slabs and prefabricated countertops to the customer's specifications, 40mm thick slabs are produced but are not usually held in stock for immediate despatch. Looking for Raw Blocks ?